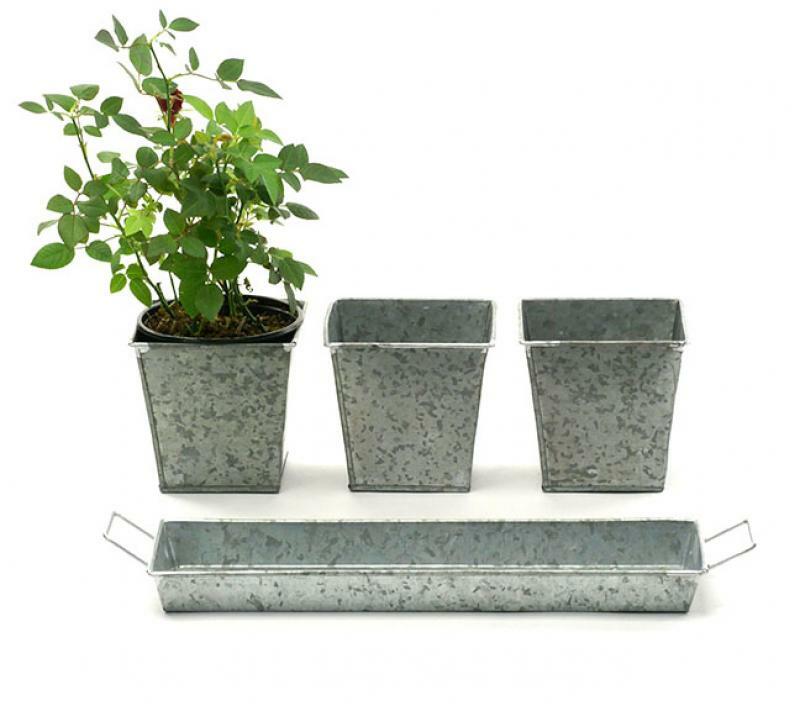 This planter set is the ultimate gift for your favorite cook, gardener, host or hostess. This set includes three pots plus one tray. You can use the set for herbs or mini plants. However, this set is so useful and clever for appetizers for tailgating or casual entertaining. You may choose it plain or we can personalize all four pieces. PLEASE NOTE: This product is rustic in design and industrial in appearance. 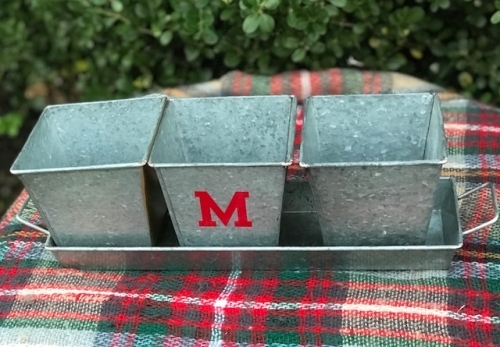 It is made from galvanized tin that is rustic. You will receive 1 Tray + 3 Pots in this set. Each pot is 4 inches square x 4 inches deep. The personalization is an applied decal that is outdoor safe. Please note: This item is rustic in nature and may be industrial in appearance.